Just in time for Valentine’s Day, a local tech company has launched a new dating and networking app that’s designed to connect people based on where and when they’re available to meet. 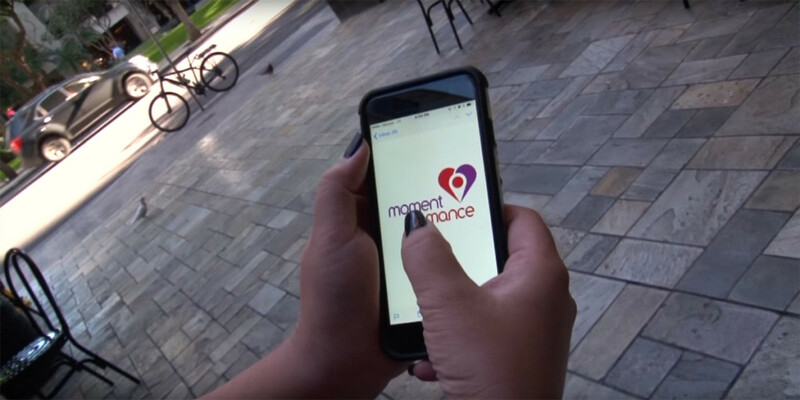 Moment Romance launched last week on both the iOS and Android app store. While most dating apps have fallen back on the Tinder-style photo-swiping model of matching people, Moment Romance is location-based, more friendly and casual, and even more private than the competition. And while Moment Romance is a new app, it comes out of years of experience in mobile technology. Creator Kyle Tanouye has over two decades of experience in both startups and enterprise companies, founding Talisman LBS, LLC in 2007 (an “intelligent mobile marketing platform”) and Milan Marketplace in 2011 (a “location-based advertising network”). A University of Hawaii graduate, his resume also includes work at Apple, GTE, and the aio Group. Moment Romance builds upon tools that were built for Milan Marketplace, which focused on the “last mile” of location search and marketing. 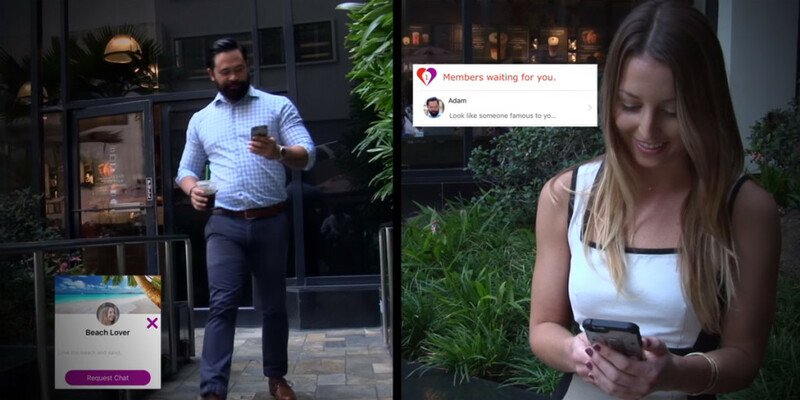 If location-based technology can help businesses find customers, it can certainly help people find friendship and romance. It puts people in the right place and time to meet new people through simple and friendly introductions. 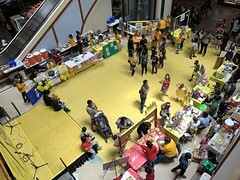 It’s designed to be used in groups of friends, and focused on public places. It’s more private, as there are no searchable profiles. You’re only seen when you’re checked into a location. There are the familiar elements, of course. You fill out a profile about yourself (which doesn’t have to include a real photo or name, but should probably include real information about you), and then fill out a profile of the type of person you’re looking to meet, including preferred gender, age, education, height, body type, language, race and religion. You can say whether you’re looking for friendship, romance/dating, or marriage. After that, however, Moment Romance is all about the map. 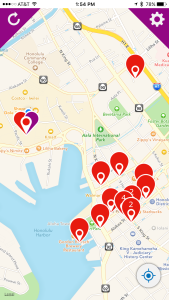 The app is pre-populated with public venues that might make good spots to meet. The map also shows locations where people are already checked in. But if you want to see who’s there, or possibly meet them, you’ll need to go to the location to check in as well. From there, you can see more details on the other users, message them, and figure out how to introduce yourselves. In order for the approach to really work, Moment Romance will need to find a good number of users in specific areas. 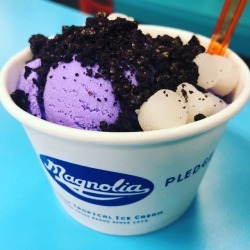 For its local launch, downtown and the University of Hawaii campus would be good examples. 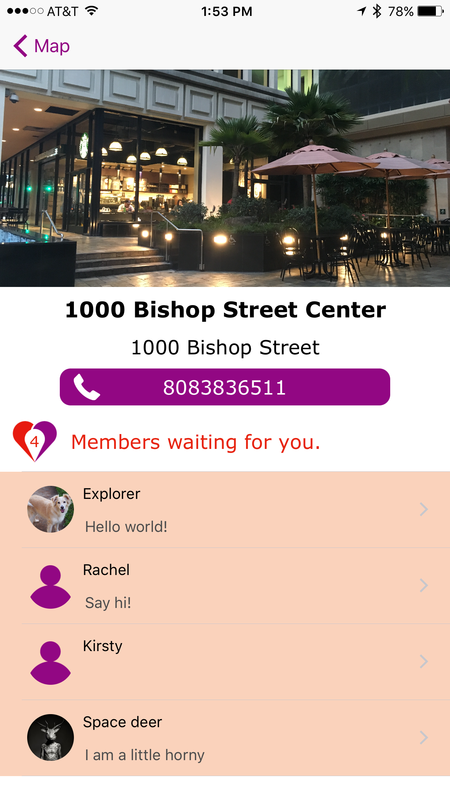 If you have an office on Bishop Street or are taking classes at the Shidler College of Business, you can check in and leave yourself open to the moment, so to speak. But it definitely eases some of the anxiety and avoids some of the pitfalls of other dating apps. It keeps things casual, starting out with coffee in the courtyard, and hopefully limits the offline creeper factor. If you never introduce yourself in person, other users won’t have any way to stalk your Facebook profile. Moment Romance is fresh out of the gate, and looking for both users and feedback. (I already told Tanouye that since I’m looking only to make friends, requiring me to look only for female friends is a little weird.) For more information or to try it out, visit MomentRomance.com, check out the app on Facebook, or on Instagram. 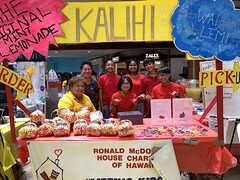 BONUS: We interviewed Tanouye on Hawaii Public Radio for last week’s show focused on online marketplaces. You can hear him share his background and thoughts on doing business online, as well as about Moment Romance. Listen here! Good to see Kyle flourishing as a entrepreneur! Good job Kyle!